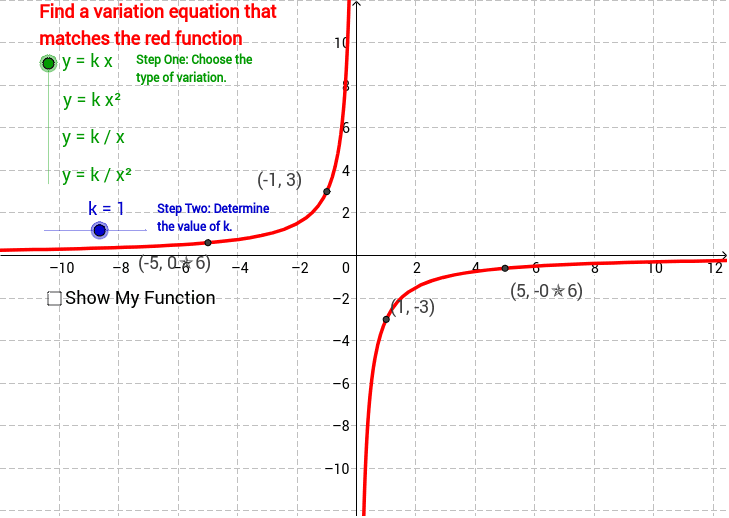 Try to find a variation equation that matches the red graph. First, choose which type of variation equation is graphed. Next, determine the value of k. Finally, check "Show My Graph" and see if you were right! Then practice again. To get the next function, use <CTRL>-R or click the double-arrows in the upper right-hand corner.